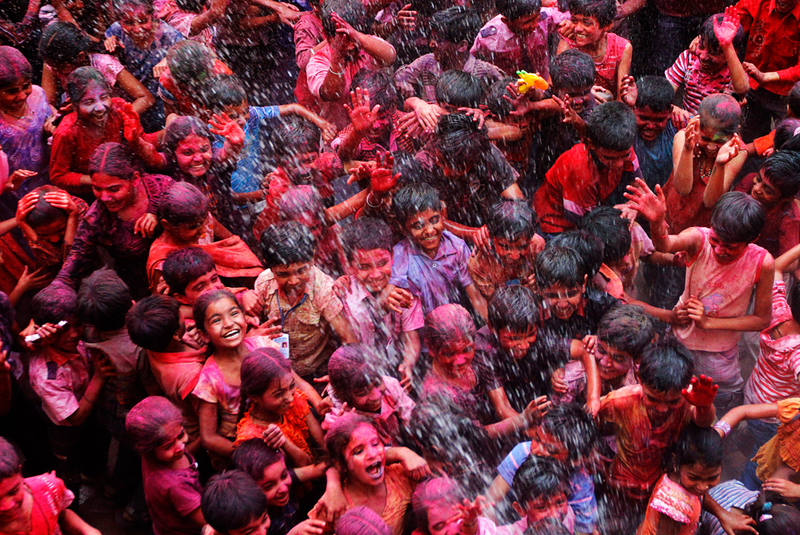 Holi is a festival of colors, celebrated primarily in India. The festival falls on the last full moon day of Falgun. It is celebrated sometime in the month of March, usually in the latter half of the month. According to mythology, the festival is celebrates the killing Holika, the sister of Hrinyakashyapu. The festival also holds significance with respect to end of winter season and the onset of summer season. There are several stories behind the origins of the festival. The most popular one is related to the killing of Holika. Mythology states that when Prahlad disobeyed the orders of Hrinyakashyapu and kept praying for Lord Vishnu, Hrinyakashyapu took the help of her sister, Holika, to kill him. Holika took Prahlad in her lap and sat in a bonfire as she had immunity against fire. However, to everyone.s amazement, Holika was burnt alive while Prahlad was unaffected. Thus, Holika Dahan is celebrated a day before Holi. The festival is also believed to be a celebration of Radha's undying love for Lord Krishna. Still another mythological tale states that when Lord Shiva destroyed Kamadeva, he later resurrected him for the sake of his wife Rati. However, Kamadeva was brought to life only as a mental image. The festival is believed to celebrate that event.